Scientific and technical translation requires translator to be familiar with the technical content being translated. Technical terms and scientific symbols need to be thoroughly understood by the technical translator in order to ensure a high degree of accuracy during the translation process. Well worded and accurate documentation assures your customers that they have chosen the right services while badly translated documentation could severely harm your company's credibility. In order to publish your scientific and technical findings in the global scientific community, it is necessary to get the word out clearly and effectively. The Lingua Franca of most leading scientific journals and publications is English. It is therefore important to be able to put forth your ideas effectively in English along with other languages. If you are not a native English speaker, it is especially important that you have your scientific papers and journal publications translated into English by a professional scientific translation service. At Outsource2india, our scientific translators are qualified in the manual translation of scientific documents. You can be rest assured that your document retains technical accuracy in whichever language it is translated so that there are no errors in the translation. Technical documents such as instruction manuals, user guides, journals, and warranty forms, etc., are the main companions of a product. In order to gain foothold in the global markets, these technical and scientific documents need to be translated into a different global languages. Technical documentation accompanies your product, and is an important factor in your business success. Well-written and accurately translated localized instructions and manuals form a crucial part of the product package. 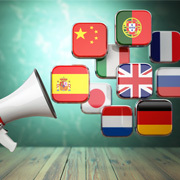 While translating technical translations, it is equally important to localize the content. Localizing a translated document customizes and adapts the text content as per the sensibilities of local culture. If you translate without localizing, there may be instances of using words that are perfectly harmless in one culture but could be seen offensive in another. At Outsource2india, our technical translators not only have excellent translation skills, but are also sensitive to the localization of the translation into the target language. We can help you deliver message to your peers or clients located in different parts of the globe. For accurate and localized scientific translation and technical translation services, contact Outsource2india, a translation company that knows how to get the job done at the first shot!